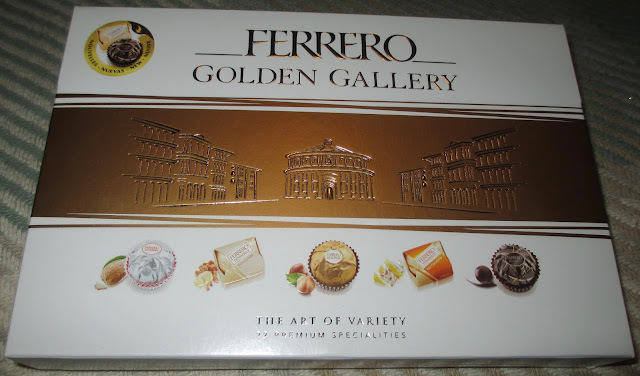 I am a big Ferrero Rocher fan, they are some of my favourite chocolates. This Christmas I have been treated to some of the Ferrero chocolates you can only get at this time of year in Britain, a selection box called the Golden Gallery. This includes all the brother and sisters to Ferrero Rocher, which involves a mix of different chocolate and nuts. 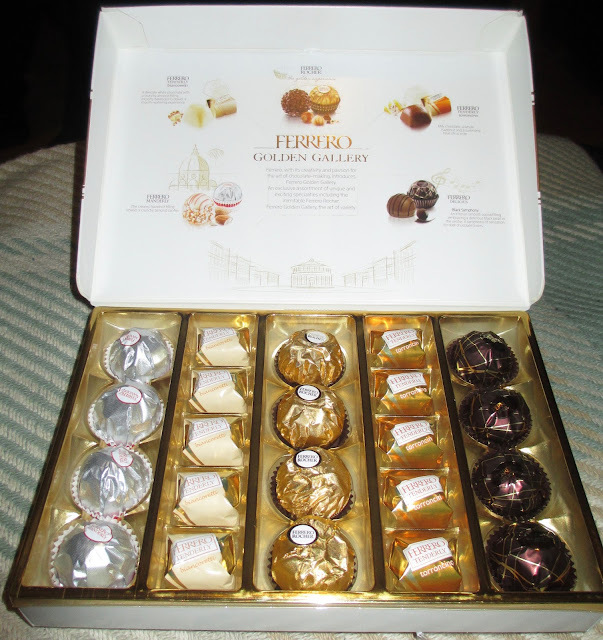 Big thanks to my mum for this fab selection box. 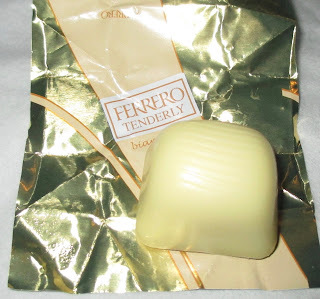 This is a white chocolate shell with a white chocolate praline inside with an almond filling. 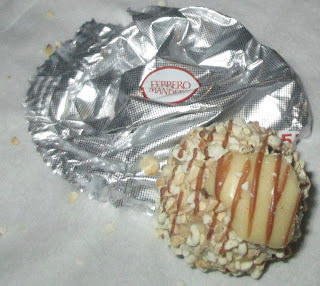 I should point out almond filling is code for marzipan, and this was the dominant flavour. Im not the biggest marzipan fan, but even so the praline and the creamy white chocolate still compensated enough to make this a tasty chocolate. Paradoxically I do like almonds, just not marzipan. Almond and sugar combine to make marzipan and I like both ingredients separately, but not together. The point is that this Ferrero Manderly contains actual almond and as such I really liked it. The decoration on it went everywhere though when I opened it, but the texture was fun, light and crispy to eat. There was a lovely white chocolate and hazelnut filling, which complimented it well. 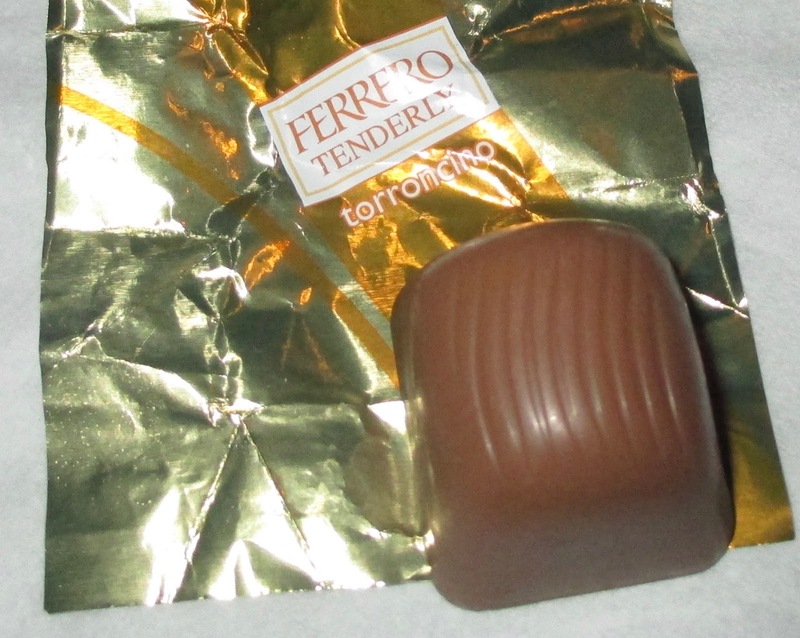 This is a milk chocolate housing a hazelnut and a praline filling. It is a surprisingly sweet chocolate, and the hazelnut tones are good, as is the crunchy nut inside. I was convinced that this chocolate contained honey it was so sweet, so I checked the ingredients but couldn’t see any, I think it might be the added vanilla. This is like a dark chocolate version of the Ferrero Rocher. I have seen a dark version before and it was covered in little bits of chocolate as a decoration, which was rather messy. This is like the tidy version. 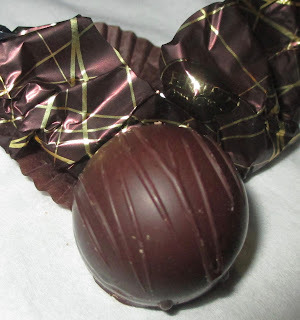 I love the dark chocolate flavour with the hazelnut it is just heaven. This chocolate would really take off here, if it was more commonly available. 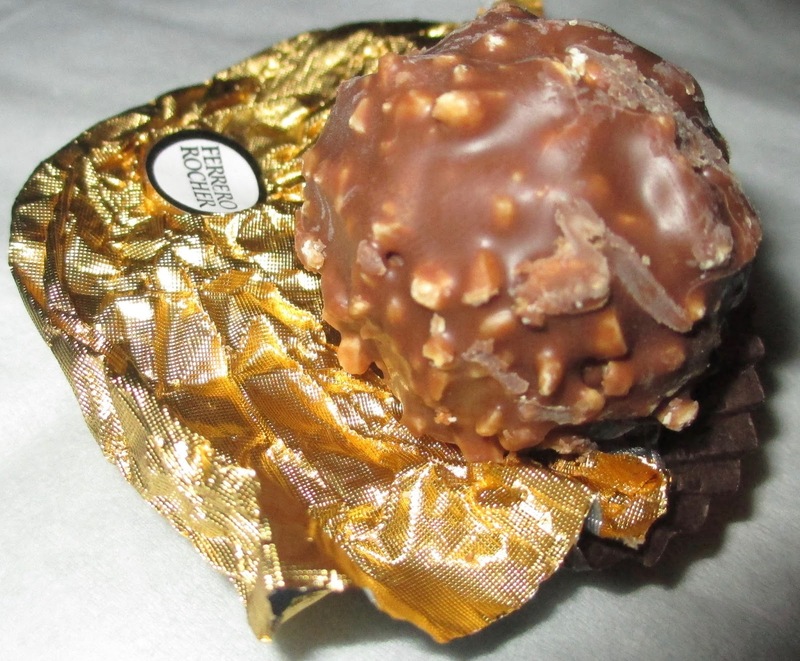 Finally we have the Ferrero Rocher, the main chocolate. If you haven’t had one before it is a fantastic combination of textures, wafter, nut, soft chocolate filling and a whole hazelnut. I love these, and really enjoyed trying out all the other variants in this fantastic box set too.